studs for women manufacturers,studs for women exporters,studs for women suppliers,studs for women OEM service. 30% deposit before production, and balance before shipping. The defective goods will be repaired free of charge, if there is any quality problem. 1 made of high quality 925 silver. 2 Manufactures from high polished. Our product features a high - polished. 1) We are professional manufacturer with Competitive price & Fashionable style from China dongguan city. 2) Standard material with nickel-free & lead free. 3) With quality control and timely reply. 4) Any color , size, style we can produce . 5) Variety of Designs, with Professional & Original Fashionable look. 7) OEM, ODM available, Customers' designs are warmly welcome. 8) Got good reputation both at home and abroad. Long-term Supplier for Customers' reference. We are a specialized jewelry manufacturer. We have been engaged in this business from 2009. Most our customers have cooperated with us more than 8 years because of our reasonable price and stable quality, fashion style, and on-time delivery. We have marketing department, They always research the latest fashion trend by magazines and websites for constantly making new samples. To make all products same as production samples, our QC inspectors check every piece of finished jewelry strictly. As an experienced manufacturer, we also offer OEM service for many well known chain stores all over the world. Our products can be azo-free, lead-free, nickel-free and comply with European, American and other jewelry standards. 1. Can I have a sample for jewelry? A: Yes, welcome sample order to test and check quality. Mixed samples are acceptable. 2. What about the lead time? A: Samples needs 1-2 days, mass production time needs 1-2 weeks for order quantity. 3. Do you have any MOQ limit for jewelry? A:If goods in stcok,there is no MOQ,If custermed Low MOQ. A: We usually shipping by DHL, UPS, Fedex or TNT. It usually takes 3-5 days to arrive. Airline and sea shipping also optional. 5. 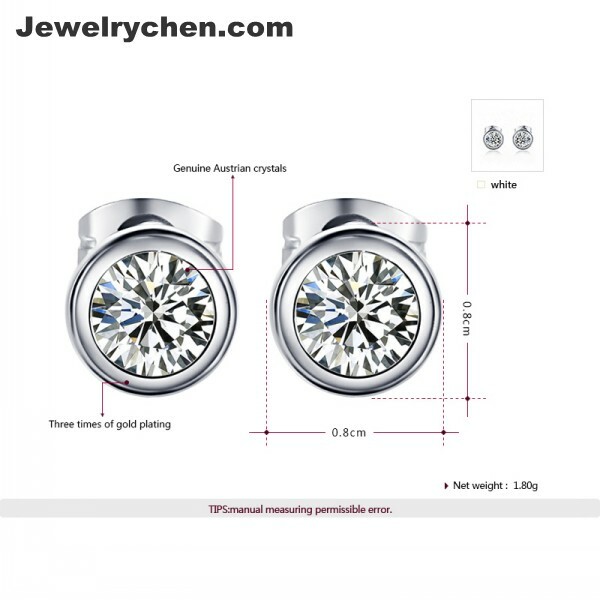 How to proceed an order for jewelry? A: let us know your requirements or application. We quote according to your requirements or our suggestions. customer confirms the samples and places deposit for formal order. 6. Is it OK to print my logo on jewelry? A: Yes. Please inform us formally before our production and confirm the design firstly based on our sample.OEM is welcome. 7: Do you offer guarantee for the products? A: Yes, we offer several years warranty to our products. 8: How to deal with the faulty?